The Neurokinesiology lab's focus is on developing physical rehabilitative strategies with high compliance while enhancing balance, mobility, cognition and quality of life and reducing fall risk for older adults with and without neurological disorders. Dr. Madeleine Hackney and team study interventions' motor patterns and timing, dosage, and overall efficacy. We are keenly interested in identifying movement programming, pedagogical methods of movement instruction, and related aspects (i.e., music accompaniment, environment) that will optimize group physical and dance-based activities for specific populations. The lab also investigates aspects pertaining to improved quality of life, satisfaction and goal-attainment as a result of rehabilitative physical activity. A second focus of the laboratory is on investigating the efficacy of an interactive health seminar/educational program for older adults, and particularly for older adults who are diverse and underrepresented in research. The seminars involve learning strategies supported by cognitive psychology, and are co-taught by medical students and faculty members. The lab uses a variety of standardized motor, cognitive and psychosocial measures to assess efficacy before and after interventions. 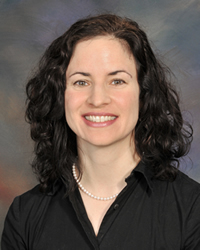 Dr. Hackney's lab also investigates novel motor and cognitive assessments and contributes to enhanced understanding of characteristics related to fall risk, cognitive and psychosocial profiles in older adults with and without neurological disorders. Design optimal rehabilitative physical interventions (exercise and dance-based) for those with Parkinson Disease (PD) and older adults with sensorimotor impairments to improve mobility and cognition. Detect mechanisms underlying movement pathologies by characterizing motor patterns in challenging conditions, and investigating neural pathways of motor control and remediation/compensation through functional magnetic resonance imaging. Investigate programs that promote wellness, and enhance or maintain motor and cognitive function for individuals with PD as well as older adults going through typical aging processes. The programs that are currently being researched are an adapted Argentine Tango program (adapted tango), and the DREAMS program, an educational intervention designed to promote research participation by older adults, particularly those who are underserved. Evaluate the effects of 30 hours of leading (IG training) or following (EG training) (administered via adapted tango dance classes) on motor and cognitive function. Determine brain activation patterns during IG and EG foot movement with fMRI. Examine effects of IG and EG training on brain activation in association with any observed mobility and cognitive changes. Participants with PD will be assessed for disease severity, mobility and cognition while “OFF” PD-specific medications 1 week before training, 1 week after training, and 1 month after training. Participants must attend 20 lessons of IG or EG adapted tango in 12 weeks. The long-term goal is to improve motor and exercise-based training for persons with PD by understanding the benefits of leading versus following movement in rehabilitative scenarios. We also aim to contribute to understanding of foot movement brain circuitry in PD under externally or internally guided circumstances and brain changes in circuitry through which training is effective. Using a two-part educational intervention focused on diverse, underrepresented older adults, we aim to 1) build trust and rapport between older adults and researchers, 2) provide a pool of interested, educated applicants for the crucial role of patient research advocate in Patient Centered Outcomes Research (PCOR), and 3) increase opportunity for diverse seniors to exert influence, participate and collaborate in all phases of the research process. Part I of our program, entitled the “DREAMS Program” will be an 8-week speaker series presented three times by local investigators and staff in year 1. It will educate seniors about current translational and clinical aging research related to various medical disciplines within the Emory School of Medicine (SOM) (our “Research Partners”, including Cardiology, Renal, Endocrine, Infectious Disease, Oncology, among others) and will be moderated by a post-doctoral student and undergraduate volunteers. This portion of the educational DREAM program will consist of 8 individual sessions lasting 90 minutes each. The goal of Part I is to deliver a stimulating and engaging interactive health seminar to diverse older adults in Atlanta. In addition to learning about current research projects involving older adults in Atlanta, participants will learn and discuss the topic from the perspective of health and wellness. Importantly, the seminar will incorporate learning techniques designed to enhance adult learning, within a highly supportive environment. A research partner – e.g. Cardiology – will recruit faculty to provide an overview on the topic as it relates to healthy aging research and current research opportunities for approximately 50 minutes. Seniors will then form small groups, in which they will discuss and explore the day’s topics in more depth. Seniors will keep a journal of notes and reflections that will be turned in at the close of the 8-week course for review. Patient advocate trainees will be identified from class participation (and recommendations from faculty, and moderators), interest indicated in an exit questionnaire and from notes taken in the notebooks. These individuals will be recruited to participate in Part II. Every effort will be made to ensure diverse representation in Part II. Part II: The individuals selected to participate in the “DREAMS Team” will be offered curriculum based upon successful courses developed by other patient organizations and PCORI. Opportunities for seniors to practice their role as patient advocate will be actively sought. Part II will provide the DREAMS Team in-depth information on scientific research design, implementation, and dissemination, as well as define the patient advocate role. Our goal is to empower these individuals such that they can advocate aging research within their communities and also feel adequately prepared to sit on a community research advisory board within Research Partner Organizations. Advocates in Research Aging: Why? Who? & What? Aging and Clinical Research: What's in the Pipeline? Full list of publications in NCBI. Hackney ME, Kantorovich S., Earhart, G.M. A study on the effects of Argentine tango as a form of partnered dance for those with Parkinson disease and healthy elderly. American Journal of Dance Therapy, 2007; 29(2): 109-127. Hackney ME, Kantorovich S., Levin, R., Earhart, G.M. Effects of tango on functional mobility in Parkinson disease: A preliminary study. Journal of Neurologic Physical Therapy, 2007; 31:173-179. Hackney ME, Earhart GM. Tai Chi improves balance and mobility in people with Parkinson disease. Gait and Posture J. 2008; 28 (3):456-460. Hackney ME, Earhart GM. Backwards Walking in Parkinson Disease. Movement Disorders, 2009; 24(2):218-223. Hackney ME, Earhart GM. Short Duration, Intensive Tango Dancing for Parkinson Disease: An Uncontrolled Pilot Study. Complementary Therapies in Medicine, 2009; 17:203-207. Hackney ME, Earhart GM. Effects of Dance on Movement Control in Parkinson’s Disease: A Comparison of Argentine Tango and American Ballroom, Journal of Rehabilitation Medicine, 2009;41:475–481. Hackney ME, Earhart GM. Health-related Quality of Life and Alternative Forms of Exercise in Parkinson Disease, Parkinsonism and Related Disorders, 2009; 15:644-648. Hackney ME, Earhart GM. The Effects of a Secondary Task on Forward and backward walking in Parkinson Disease, Neurorehabilitation and Neural Repair, 2009; Aug. 12. doi:10.1177/1545968309341061. Hackney ME, Earhart GM. Social Partnered Dance for People with Serious and Persistent Mental Illness: a Pilot Study, Journal of Nervous and Mental Disease, 2010; 198(1):76-78. Hackney ME, Earhart GM. Effects of Dance on Gait and Balance in Parkinson Disease: A Comparison of Partnered and Non-Partnered Dance Movement, Neurorehabilitation and Neural Repair, 2010; 24(4):384-392. Hackney ME, Earhart GM. Effects of dance on balance and gait in stage V Parkinson disease: A case study, Disability Rehabilitation, 2010; 32(8):679-684. Hackney ME, Earhart GM. Recommendations for implementing partnered dance classes for persons with Parkinson Disease, American Journal of Dance Therapy, 2010; 31(1):41-45. Hackney ME, Hall CD, Echt KV, Wolf SL. Application of Adapted Tango as Therapeutic Intervention for Patients with Chronic Stroke: A Case Study, Journal of Geriatric Physical Therapy, 2012; 35(4):206-217. Hackney ME, Burridge AB, Hawley KS, Spiro A, Echt KV. Physical and cognitive function in older men: Is longitudinal study participation related to better functioning. Journal of the American Geriatrics Society 2012; 60(2):396-8. Hackney ME, Hall CD, Echt KV, Wolf SL. Dancing for Balance: Feasibility and Efficacy in Oldest-Old Adults with Visual Impairment. Nursing Research Journal, 2013; 62(2):138-143. McKee KM, Hackney ME. The Effects of Adapted Tango on Spatial Cognition and Disease Severity in Parkinson’s Disease. Journal of Motor Behavior, 2013; 45(6):519-529. McKee KM, Hackney ME. The Four Square Step Test in individuals with Parkinson’s Disease: Association with Executive Function and Comparison with Older Adults. NeuroRehabilitation, 2014; 35(2):279-89. doi: 10.3233/NRE-141122. Hackney ME, McKee KM. Community-Based Adapted Tango Dancing for Individuals with Parkinson’s Disease and Older Adults. Journal of Visualized Experiments, 2014; 94, e52066, doi:10.3791/52066. Hackney ME, Hall CD, Echt KV, Wolf SL. Multimodal Exercise Benefits Mobility in Older Adults with Visual Impairment: a Preliminary Study. Journal of Aging and Physical Activity. 2015; 23(4):630-9. doi: 10.1123/japa.2014-0008. Chen T, Bhattacharjee T, McKay J, Borinski J, Hackney ME, Ting L, Kemp C. Evaluation by Expert Dancers of a Robot That Performs Partnered Stepping via Haptic Interaction. PLoS ONE, 2015; 10(5): e0125179. doi:10.1371/journal.pone.0125179. Hackney ME, Byers C, Butler G, Sweeney M, Rossbach L, Bozzorg A. Adapted Tango Improves Mobility, Motor-Cognitive Function and Gait but not Cognition in Older Adults Dwelling in Senior Independent Living Communities. 2015; Journal of the American Geriatric Society. DOI: 10.1111/jgs.13650. Renz E, Hackney ME, Hall CD. Foot clearance and variability in mono and multifocal intraocular lens users during stair navigation. J Rehab Res Dev. In press. McKay JL, Ting L, Hackney ME. Balance, body motion and muscle activity after high volume short term dance-based rehabilitation in individuals with Parkinson's disease: a pilot study. J Neurologic Phys Ther, in press. Hackney ME, Wolf SL. The Impact of Tai Chi Chu’an Practice on Balance and Mobility in Older Adults: an Integrative Review of Twenty Years of Research. J Geriatr Phys Ther, 2014; 37(3):127-35. doi: 10.1519/JPT.0b013e3182abe784. Ting TH, Chiel H, Trumbower RD, Allen JL, McKay JL, Hackney ME, Kesar TM. Neuromechanical Perspectives underlying Movement Modularity and their Implications for Rehabilitation. Neuron; 2015 Apr 8;86(1):38-54. doi: 10.1016/j.neuron.2015.02.042. Nocera JR, Hackney ME. The Cognition-Exercise Interaction in Parkinson’s disease: A Perspective on Current Rehabilitative Approaches with Promise to Impact the whole Sequelae. J Gerontol Geriatr Med, 2015; 1:003. Hackney M, Nocera J, Bowers D, Altmann L, Hass C. The Chronic Exercise-Cognition Interaction and Parkinson disease. In: McMorris, T. (Ed), Exercise-Cognition Interaction: Neuroscience Perspectives, New York: Elsevier, 2015. Hackney ME, Adapted Tango Teaching Manual, approved for 1.2 CECs by American Council on Exercise. Hackney ME, Blog: The Exercise Files: A Researcher’s Perspective.